Super fast cleaning. Very professional, friendly and efficient. It was great for someone taking time off from work for the semiannual visit. Went in for routine cleaning and check up. Lori is the BEST dental hygienist ever!!! Awesome Service! Very Professional and Informative! I loved everything about my visit. Customer service was excellent from the time I walked in til the time I left. The dental staff was very patient and knowledgeable. I especially liked how I was provided payment options that suited my financial situation. I live all the way in Waialua but chose to come here for all the reasons listed above. I usually dread going to the dentist, but today, I left with a smile. Thank you! Sharon meticulously cleaned my dingy stained yellow teeth with thin enamel and now they look better than they have in ten years! Everyone was very kind and made me feel comfortable during my visit. My last visit will be a visit to remember. Even though I came late, they still took me in with the least amount of time waiting. I expected to wait another hour or so but I only waitied for 10 mins. Once they took me, I was treated professionally & with aloha. I would recommend Dr. Komenaka, he'll certainly take care of you. I didn't expect much but he went beyond my expectations. He got my teeth fix within a matter of minutes. His assistants were very helpful as well. They made me feel comfortable once I got in the chair. So comfortable I fell asleep a little while he was working on my teeth. I'll be back for sure to make my next appointment. It's nice to have a dependable, friendly and competent dental service close by. One which will make the right suggestions and help me maintain my teeth and gums for the long term. Sharon was very thorough with my cleaning. I'm extremely satisfied with the services provided by this dental office from the ladies manning the front to the end of my appointment. Keep up the great work! I will be recommending Ala Moana Dental Care to my associates at my school. Mahalo! Good first impression and received great treatment. Mahalo for your professional help! Starting from the reception desk, dental assistants and finishing with all doctors ( four of them were dealing with me!!!). Thank you for your help and understanding for a person who is afraid to see a dentist. You are super kind, professional and very helpful. Mahalo again! FYI- the best dental assistance on O'ahu. I love the ON TIME friendly service! I love the ON TIME friendly service! Receptionists were warm and inviting and pleasant attitude. As for my service, I was very pleased with the care and how patient my hygienist was. Made me very comfortable and did an excellent procedure!! By far my best experience ever! I will recommend to family and friends for sure!! MAHALO!! Very professional, timely and friendly. Haven't had cavities in a while so was nervous. Experience, again, showed me that was unnecessary. Thank you Dr. Nguyen (sp)!! Professional, friendly, and timely. Well-oiled machine, received appointment updates and quotes for future dental work immediately. Went in for my bi-annual cleaning/check-up and it was painless, the staff is very personal and professional. I was so relaxed, I almost fell asleep while in the dental chair. I was impressed with Dr. Inoue's ability to take care of my tooth.... I arrived to the office, 100% ready for crown work.. but Dr. Inoue did more thorough examine and test on my tooth and he told me it was not necessary for the procedure at this time but if I really want to go thru, it's fine! I chose not to because I believe his judgement and I was impressed that he was not doing it for money. I recently had an appointment for a dental cleaning and it was quick and efficient. I'm always really happy with the friendliness of the employees. My X-rays were done by Lindsey. She was really friendly and remembered to ask all the right questions. I almost forgot to mention my teeth sensitivity when the dentist walked in but she reminded me of my concerns and all my questions were answered. Sometimes I blank when I see the dentist because I'm concerned over negative news but Lindsey was on top of it. My cleaning was done by Chelsea who was also very helpful and professional. She answered all my questions and didn't rush. I would definitely recommend this business to others! I had a bad upper tooth and I decided to extract instead of root canal and etc. I told them I was phobic about dentist and they took care of me like a VIP... thank you all there for your sensitivity and not judging about my not taking care of my teeth.. Appreciate the Dr and how he was concerned about my pain level and man he was a magician with that needle he was fantastic from beginning to end! I was so pleased to get right in even though I am just a visitor to the island. With an abcess, it was important that I get in quickly. The staff was professional and helpful. I would definately recommend them. My Dentst, Dr. Matto was thorough and professional. I do not enjoy the dentist at all but Dr. Devereux and his staff make everything easy and comforting. I appreciate how he explains the process, he may tell you a funny story to help keep your mind off of whats going on, what ever it is he is quick and to the point. His staff is professional and I appreciate the attention to detail when it comes to calming a nervous patient all the way to scheduling an appointment (noticing the usual time of the day for visits). Definitely a place to refer your friends and family to. Mahalo for making my visits easy! This is the only dental office in my life that is always on time with your appointment! Others keep you waiting for 30-60 mins then put you in a room to even wait longer to be seen. Staff is always friendly and caring! Easy to schedule appointments around my work schedule and I always receive quality service from the staff here. Comfortable waiting room. I work 14-15 hour days so it was hard to find a place that can accommodate my hours mon-fri or take me on weekends. I literally googled "dentists late hours" and found this place. I was skeptical at first but they seemed to have a good reputation and several great reviews so I decided to give them a try. Booking an appointment is eeeeeasy! *appointment day* This place is staffed with incredibly kind people. They are fast, helpful, polite, and professional. I was a couple minutes late and they still managed to make me feel welcome and get me checked in and x rayed within minutes! My x ray girl (I'm pretty sure a dental assistant) was Jessica. she was training someone and I was impressed with her the most. She seemed to know everything. She helped me, her trainee, the doctor, and the hygienist with ease. She's so knowledgeable & professional... she makes the whole process comfortable. My doctor that gave me a quick check up on a chipped root canal was dr. Inoue. I'm very insecure about my teeth especially since I cracked my root canal, but he made me feel extremely comfortable and was also so knowledgeable and professional. When I go back for my procedure I'm definitely requesting to see him. My hygienist was great also, hands down the best cleaning I've ever had! She's thorough AND quick! And she is not too rough. After my cleaning was done I booked my next cleaning appt and I am already excited for it. This place is definitely 5 star worthy. The place in general is so clean, bright, and comfy! I'd recommend them to everyone. I really appreciate the early AM appointment options. In addition to the friendly staff, extremely clean office my experience as a first time patient was awesome! I will definitely be returning in the future! My old silver filling is fall out and needed immediate care. I contacted though online chat from my work computer and I was be able to make an appointment in the same afternoon. I got new while filling in the same day and only cost me deductibles. I am very happy with my new filling! Took care of all my needs. Good quality dental work but office/patient communication needs work. Patients with insurance are assuming that their coverage will take care of most routine dental work. It is important that you confirm to the patient, BEFORE he or she comes into your office, that their insurance will, in fact, cover the work that needs to be done -- else, inform the patient, BEFORE he or she arrives in your office, what co-pays will be expected. A patient's time is valuable, too. Respecting a patient's time says heaps about you and what you really think of your patients. By far the best dental facility i've ever visited. Have been going.there for over 3 years and the experience has been short of pleasant and comfortable with each visit. Not once was there ever a waiting time of over a couple minutes. The get you in right away, take care of individual needs and are very thorough in their work and explanations of dental work. Can't imagine going elsewhere for dental care. If you can appreciate having excellent service that is run like a fine-tuned machine, this is your place. This is the first dental office I have ever been to (in 46 years) that provides excellent service, and is run so efficiently that you will often be distracted by observing how well everyone communicates behind the scenes. Need an appointment at 7:30am on a Saturday? That's easy. In fact, you will show up and be surprised to find 20 employees already buzzing around, communicating with each other, to make sure you are in and out as quickly as you wish. All that, and they are pleasant, very attentive, and good at what they do. Make sure you check in via Yelp so that you can take home a free bottle of their mouthwash. Best I've ever used. Dr. Mandich is great. He continued working with me until there process was pain free. They were able to take care of a little emergency that just happened that morning, immediately after my cleaning appt. This is where I get my teeth cleaned and I have been coming here for about 5 years. All the staff is very friendly and professional and they love what they do, so the people seem happy. It is a very organized operation where different people from the staff take care of you and at the end you see the dentist. I have never been in any pain and the people doing things to you are very gentle. The office is spotless and pleasant. They seem to do a lot of procedures, which fortunately I don�t need. The location is great because you can park at the mall and they work from 6am to 8pm! I am very glad I chose this place 5 years ago. Organized good quality service, friendly staff, short waiting time, flexibility, and many reminders until scheduled date. Plenty parking w/ validation in a conveniently located building. The service is very good. The office is well run, you will received a few reminders so you don't forget your appointment. Very systematic process, with aids and receptionists. I just go there for cleaning for a few years already. Excellent service and very professional. I had an old filling replaced. I visited in January 2017 after a temporary filling became unstuck on my flight from Australia to Hawaii. The staff were lovely, explained the process, and fixed my tooth beautifully. It was expensive compared to Australia; thank goodness for health insurance. The clinic was bright and airy and very clean. The dental technician/ assistant was super friendly and put my at ease with the numbing etc; she took great care of me. And the dentist was equally gentle and caring. I wholeheartdedly recommend them. I was in and out within 30 minutes! I got a cleaning and exam. A First Class Operation All The Way. Came to do my regular cleaning and check up. Did not wait at all. We were here on vacation and they were able to get us in for an emergency within 20 mins. very understanding of my needs when doing procedure of removing teeth, very professional! It's been about two years since I switched to Ala Moana Dental Care from a long time family dentist. I happened to get the flyer in the mail and liked the location and hours of operation. I'm impressed with timely service and follow up reminders. This was my fist visit to Ala Moana dental care. I was pleased to know this office opens early. I had very friendly help and they seemed very experienced.The procedure wasn't painful like my other experiences at the dentist. My main reason for making the appointment was for a consultation for braces in which I was excited about. However they had to refer me due to no specialist available. I was a little down about not seeing someone today about braces, but I understand. I will definitely come back to this dental office because of the friendly staff and office hours. Overall I had a wonderful experience:)! Good, quality service by staff and doctors. Very friendly and welcoming as soon as you enter the beautifully decorated waiting area. Staffing is always aware and is there to help you with whatever you need whether it is help, advice, or service. Validated parking is an extra star rating. Great care every time. I always refer all my friends to your center. Friendly And Professional From Beginning Till End. From the moment I called to make an appointment the staff was friendly and welcomed me as a new customer. I needed a tooth extraction and had severe nerve damage and needed the tooth pulled 4 days before my scheduled appointment because the pain was unbearable. They got me an appointment and I was walking out in less then an hour of arriving. The staff was friendly and the doctor made me feel comfortable. I've had oral surgeries before but The doctor made sure to numb me good and I felt no pain at all. Thank you so much for making my experience as quick and painless as possible. Best Service, Professional Staff in Front and behind the Scenes, I am glad to have found this great dental care office! Professional Staff In Front And Behind The Scenes, I Am Glad To Have Found This Great Dental Care Office! Thank you for the great dental care you provided for me today. Sharon and Tahani - See you in six months. very good experience! I am afraid of going to the dentist, but I had a very good experience for the first visit, thank you very much for being so understanding! god bless you all! When it comes to dentist I'm a bit nervous. For all my visits the staff were very compassionate as I am a big baby. Definitely recommend ala Moana dental. I'm an Australian holidaying in Hawaii with my fiance and was in severe pain which ended up in a emergency root canal. I have only heard bad things about root canals but the moment i walked in, the receptionist was so caring and friendly and got me straight in to see Dr Matto and the dental nurse who were so profressional and quick to get me out of pain and discomfort. Once they numbed my tooth before starting the root canal procedure i didn't feel a thing. Best service and chair side manner i have ever come across. Thank you so much. I have lived and worked in five different countries in my life, of course with modern technology a trip to the Dentist is not a dreaded experience as it once was. But it is still a highly competitive business, Ala Moana Dental Care maintains a high degree of excellence you experience as soon as you walk through the door. From the friendly Receptionists to the Technicians and lastly the Doctors themselves all making a tight professional team, which other establishments strive to meet. A lot of care and thought has gone in to making your visit as pleasant as possible, you notice minor changes of improvement immediately including upgrade in State Of The Art Technology. You could not trust your health to better caring group of professionals, they achieve this on an improving scale after every visit. Very professional, nice employee, very helpful, and I had no problem with my treatment yesterday. When I found out this business hour's I immediately called and set up the appointment. I don't need to wait that long when I called in. Amazing services. Will recommended this office to everybody at work. Was very happy with the service. Everyone gives service with a smile. It's like a Dental Salon! In all my years, I've never seen a Dental office run like this but I love it. Their hours are the best as in 6a to 8p and open 7 days a week incl holidays. They are friendly, on time and super efficient. Met two of the dentists so far. Everyone is nice and seemingly competent. They will also check into your insurance for you. Everyone here is friendly and relaxed, from the receptionist to the dentist. I'm not afraid to go to the dentist anymore. Ala Moana Dental Care has consistently provided excellent, professional care throughout our years as patients. Perfect in every way. They are organized,on time,friendly and reasonably price. I would recommend Ala Moana Dental to anyone. Excellent service. No wait. Appointment was right on schedule. Staff very friendly. Doctors are very professional and absolutely did not have to wait to be called to the back to begin dental work. I normally don't like going to the dentist but Ala Moana Dental Care is excellent! Tehani, the assistant made me feel welcomed. Dr. Inoue is a good dentist and Karen the hygienist does a very good job! The entire staff put me at ease at place that is normally nerve racking. Nice receptionists and a very comfortable lobby. Everyone, from the receptionist's , to the hygienist, to Dr. Devereux. So insightful , and knowledgeable. I want to thank Joanna for her polite and sincere honesty about the dental clinic's pricing and how dental insurance works. I completely appreciate how she was able to direct me to the proper departments and giving me their contact information so I can be on the right path to having a healthy and pearly white teeth. Thank you Joanna for giving me some helpful pointers. The staffs are very friendly. I also like the schedule of the clinic. I did have a wonderful time at Ala Moana Dental Care for their wonderful service and sweet smiling! 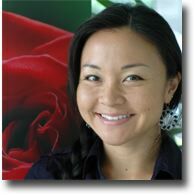 I recently had my routine cleaning and checkup at Ala Moana Dental service. As always, I received a friendly greeting when I came in and was taken care of almost immediately. Everything was explained to me as it happened. The office is spotless, and the service was very polite and professional. These people understand the meaning of good customer service which has become a rare commodity. I have had really bad experiences at a dentist office at a very young age so that has prevented me from going to dentist regularly. However due to my daughter in law to be Desire Desilva recommendation I felt at ease and staff is very friendly. New to the island and was shopping for a new dentist; they offer a "consult" which I thought would likely be with an office manager. Not here. You meet with a Dentist, in my case, Dr. Nguyen sat with me to answer questions, had someone verify my insurance was good. They're open 7 days a week 6a-8p. Cannot beat that for convenience and they validated my parking, too. I set an appointment for June. The dental hygienist Heidi was great, she was very good at all parts of the cleaning making it a pleasurable experience. I've been going to this office for the past 3 years and I always have a great experience. I get 2 cleanings per year and I have have a lost filling replaced at this office. I feel that the doctors are great and the staff is friendly. If you are looking for a new office trust Ala Moana dental. I needed an appointment immediately which was provided great Customer service very friendly staff. Best dentist I've ever had! I love Ala Moana dental! Great service! Friendly staff! Family oriented! I want to give a shout out to Dr Matto and his crew who did a Great Job with my tooth issue the other day. Thank You, Thank You! Have been coming to Ala Moana Dental Care for years and they always have been very professional and caring. Great staff and you have to love the hours! If you need any Dental work I would highly recommend stopping in. So, everything went well. Plain and simple. Straight to the point. Mahalo to all the staff. This was my first time here & I had a very positive experience. When I called for an appointment, they got me right in. Front staff courteous & friendly, as well as assistant, hygienist & dentist. Quick & painless, just like you hope a dental visit will be! I had a crown come off while vacationing in Waikiki -- late on a Saturday afternoon, no less. I was surprised to find anyone open, let alone someone that would take an emergency case on such short notice. Ala Moana Dental Care got me in quickly. The receptionists at the front desk could not have been nicer. I didn't have to wait long to get an x-ray or to see the doctor, who was very kind. He re-cemented my crown and gave me advice on handling my situation until I can see my doctor on the mainland. I could not have been more pleased or grateful for the quick, excellent and friendly service I received. Thank you so very much! You helped save the rest of my vacation! Dr Komenaka was very good and fast at pulling my toothe out, there was very little pain in the beginning while numbing the guns, other then that's it was painless. The dental assistant's were good and friendly as well as the financial department, I didn't have all the money on hand to have my toothe pulled but they worked with me. Everyone is very professional and efficient from check in to check out. Lori is the best dental hygienist; she is very gentle and thorough. Great, quickly scheduled cleaning and professional job by hygeinist Chris. Everyone was very courteous and professional. Chelsea was the best. Thank you for the wonderful care. Had a very great experience! I got in in timely manner and after explaining my apprehensions my Doctor was sure to put my mind at ease. The finance department worked with me to get best possible price for my services and set me up with a way to pay off my bill. The fact that this office is open 16 hours a day and 7 days a week tells me that this office caters to the patient and it is very nice to have a dental office that puts patient first. I haven't had my extractions yet but feel a lot better about getting them done. Was greeted and checked in immediately. Very short wait before being called to take xrays. Maureen was polite and quick. Lori did great job cleaning and explain which areas to concentrate on. Dr. Mandich explained plans for further dental care. Great service. Everyone with friendly smiles. I had a great cleaning with Chris @ Ala Moana dental care. He was very gentle but also really thorough with the cleaning. Two thumbs up! I was in Waikiki for vacation and I had a tooth pain in one of my molars. I got an appointment fast and 5 minutes in the waiting room. Friendly greeting as I entered the office. Nice and airy waiting lounge. Hygienist was diligent and patient in get job done. Usually I am afraid of dentist, but this dental group is sensitive for patient's sensitivity. At $100 for a year plan, I would forego my employer's plans and prefer this one. This was the best experience I've had. Their scheduler and front office staff were very sweet and professional. Their back office staff knew what they were doing and were very quick and welcoming. I forgot the doctor's name who had fixed my filling but he was such a warm hearted funny easy person to comversate with. He made me feel so welcomed and at ease. At other dental offices I've never felt the urge to want to come back for other treatments but with this office I would come back for other things haha. Best service ever!! Thank you! Excellent job from front desk to the Dentist. Mahalo. Mahalo guys! Really appreciate helping me out with my gold molar crown that came out due sticky candy. Fast & Reasonable price. I had a cleaning and some treatment done the same day. There is a plan I place for future treatment, and the staff was very cognizant of my schedule. Highest level of professional, experienced, personable care and service from Dr. Devereaux and Assistant Lee Anne!!! I love coming here. All of you are friendly and professional. The equipment and cleaning methods are up to date. Your office is the best I've been to in all my (many) years. Thank you! Great as always, That's why I keep returning & have been referring friends! Service option was great, to choose my own option between gold or porcelain. My dental encounter was fast and easy, love Dr. Deverraux as my DDS. Receptionists were very friendly and helpful. Dental assistant was ok, could have been friendlier and more helpful. Perhaps he was new and nervous? Dr. Devereux was very friendly, professional, understanding and explained everything thoroughly. Would definitely recommend to others. Staff was very friendly and made me feel as if I were a long time patient. Sharon Shashiido was very professional and informative of what I need to do now and in the future. Friendly staff. Dr Matto made sure I was very comfortable before starting my procedure. Definitely would recommend him. Great prices too. Got an appointment for the same day I called. Full set of X-rays and a cleaning. Scheduled for two extractions and a filling for two days later. VERY reasonable price. Found my new dentist. Wish I could give more than five stars. I always looked forward to my cleanings with Sharon, she is the most considerate, caring and detailed hygenist i ever gone to and personally my family has followed her for approximately the last 30 years. I've lost count , basically it's been for ever and we'll continue to be loyal patients of hers. Mahalo for your execellent service . Sharon was wonderful as always: She is highly professional, efficient, effective and friendly. Nice equipment, friendly staff, and very thorough. I also appreciate their efficient dentists. Thanks! This is my 3rd visit to Ala Moana Dental Care and today was just a routine checkup and cleaning. They are so friendly and accommodating and I can't imagine going anywhere else for all my dental needs. Quick and too the point. Thanks! Fast, efficient and friendly -- as well as painless, which is especially important for a trip to the dentist. From the moment you walk in you are greeted by friendly reception staff followed by professional hygienists and Dentists. Hours of operation are excellent for business people and those who work full time. Costs are reasonable. Extremely friendly and accommodating. They really go the extra mile and I'm so happy to have found the perfect place for all my dental work. I have avoided the Dentist for so many years. However, this past two weeks I was at the point of pain and irritation that I can't sleep at night. I want to thank Alamoana Dental Care and the staff start from the front office staff, Dental assistant and Doctor. Ive never felt more taken care of and understood with my dental needs than today. Dr Inoue and his assistant, which I regretfully forgot his name, were great. He made sure I wasn't in any pain throughout the whole procedure and his assistant was very comforting when she noticed my discomfort when the numbing medicine had to be applied with a needle. The extraction went by so quickly and painlessly that I was quite shocked it happened so fast. I went in I didn't have dental insurance. Thanks to Chad for helping with that. I highly recommend this place for your dental need. Friendly, professional staff. Good operation. The only pain felt (besides the bill) was some discomfort with all those instruments in my mouth. I felt no pain with the 'Novocain' needle. nice work, Doc. Had a painful tooth and my regular dentist wasn't open on the weekends. Ala Moana Dental Care saw me that day and was able to treat most of the problem. Unfortunately, they had to refer me to a specialist. But at least they could minimize the pain!! AMDC is beyond accomodating schedule wise. I phoned to ask for new patient appointments for my daughter and I and they got us in that same evening after work for me and school for the student. With insurance detail in hand over the phone, it wasn't necessary to provide when we showed up other than to write it on our paperwork. Having been with our previous DDS for over 15yrs, the bedside manner for the hygienist cleaning the teeth was a bit slow and almost uncertain as if right out of dental school. She was very soft spoken and kind but lacked some confidence in getting in there and offering water/suction only a few times. Other than that, it was in and out, on time and ended with a thorough financial consult on options moving forward. Looking forward to our return. I made an appointment the day before because my temporary cap came off. My appointment was for 10:30, I got there at 10:00 and they took me in right away and I was out in 10 minutes. I have been coming here for years, and these folks are the best dental group I have ever dealt with. Very professional and high tech; they make having dental work done as relaxing as it can possibly be. I now actually enjoy going to the dentist, and that is a real change from when I was a kid. High Standard - Awesome efficient teamwork by all. Higher standards all the way when it comes to efficiency, service and keeping the patient (ME) informed. From the time you step in through the double glass doors, you are greeted with smiles and a professional front desk staff that lets everybody inside know that you've arrived. Everything seems to flow in a timely manner, with consideration to your time and most importantly you don't feel rushed. Was in for the scheduled cleaning this afternoon. Starting with the polite X-Ray technician, then the "light handed" (Thank you) and thorough cleaning of the dental hygienist, followed by the dental assistant Q and A's and lastly a check up and consultation by a knowledgeable and friendly Dentist. The facility is well kept and very clean. As you leave, the same front desk people will make sure all was okay and set you up for future appointments. Not to mention their efficient email reminders prior to your appointment. If you want a great dental experience here in Oahu - THIS is the place. Cheers! Everything about this place is great. Makes me look forward to going to the dentist. Best dental care and service ever! Very impressed by the service. All of the staff are very friendly and you can feel that they care for your needs. Speedy service also. This was my first visit so I did some paper work, but as soon as I turned those in I didn't even wait 3 minutes till they called me in, and my wife who was waiting for me said the quick service went the same for the rest of the patients . Dr. Devereux and assistants were amazing and did an awesome job on my teeth. I highly recommend Ala Moana Dental Care for anyone who's looking for top notch dental care. I totally enjoy the services rendered at AMD whenever I have an appointment, the DDS' and the staff there. At my previous dental appointment we worked towards choosing the color closest to my natural teeth (for the partial denture), but for some reason (possibly the particular lighting in the stall, ceiling light) when the denture arrived, it was darker than anticipated. Happy that it's able to be returned and another color even closer was chosen (color of the implant tooth and light used from machine when services are being done) by Dr. Nguyen. I am very satisfied and excited to have it inserted! extra high quality. Happy environment. Free parking. The team has remodeled the waiting area. There is more staff. All of whom are not only highly competent but easy on the eyes. Great staff and excellent dental services ! Thank you Lorie, Dental Hygienist excellent service as always. April, Dental assistant very respectful and polite! I would like to commend my dental hygienist, Chris. He has a positive and friendly attitude and makes patients feel at ease and comfortable. He is compassionate and makes a patient feel taken cared of by taking his time, "NOT" rushing, and being attentive to his patients. Most, of all, he does a really good job cleaning teeth, no pain and very detail. It is not easy to find a great dental hygienist. I am a happy camper. Thank you, Chris.. and Ala Moana Dental!!!! Fast, easy, inexpensive and convenient. Got an appointment for 6:30 am on a Friday. In and out quickly, even made it to work on time. Staff was very pleasant as always. Wish I had found them long ago. I love this dental office! I never thought I'd say that about a dentist, but I actually like coming here. The front staff is always friendly and professional. And I love Lori, my hygenist! She is THE BEST at cleaning my teeth. I've had really bad experiences at the dentist which led to my hate for going even for a cleaning, but Lori made all my anxiety go away. She's effecient, thorough, and gentle. I look forward to seeing her every 6 months! Best dentistry since I've been on island! I could not be happier with my visit to Ala Moana Dental. I was an unscheduled walk-in, but was treated like a life-long patient. The fit me in that afternoon. The X-Ray techincian was efficient and meticulous, reshooting one plate which didn't meet her exacting standards. My cleaner was engaging without talking my ear off. She expertly and thoroughly cleaned my teeth (my first proper cleaning in 3 years, I'm embarrassed to confess), without causing the slightest bit of discomfort. The dentist provided me a comprehensive review on my exam, ensuring I was comfortable and cognizant of his feedback. My bill was reviewed with me before. Being filed with my insurance company. It was simply superior throughout. If you're an early riser this place is for you. They open at 6. No more skipping lunch to go to appointments. Not an early riser, they are open late. The bottom line is, they get we are busy and they accommodate our schedule. Bonus, office staff including hygienist and docs are caring, supportive and very personable. Double bonus, they are very efficient. Next appointment scheduled, reminder emails and texts. I love that they do all the thinking for me, that's my kind of service. Shout out to Dr. Devereaux and Sharon one of the fabu hygienists. You guys are awesome! The hygienist who did my teeth cleaning last Sunday was so good. (Unfortunately I forgot her name.) She was very professional, yet friendly. She put me at ease and I did not feel any pain or pressure on my sensitive gums. I had a dental problem that was getting to be serious, but I work very long hours and it had been difficult to find the time to address this. Am grateful that Ala Moana Dental Center has 6:00 AM appointments with full service at that hour. In less than one hour, I was done and on my way! Thank you so much! Ala Moana Dental makes seeing the dentist a pleasant experience instead of a scary thought. The advanced technology used by Ala Moana Dental makes everything so slick that you don't have to do anything except sit there and get your teeth cleaned, maintained, and checked. You can even make your next appointment six months down the road so you can get the day and time and Dr you prefer. I love the almost 24/7 ability to make an appointment in the evening or on weekends and appreciate the free parking. Everyone at Ala Moana is friendly and professional. Anesthetic injections were required in preparation for the eventual installation of a dental bridge. I was impressed that I only felt a slight pin prick with the first injection and no pain whatsoever. I have inflicted more pain stabbing myself with pins during sewing. From start to finish, I received professional care, from the office staff, the X-ray tech and, of course, Lori the hygienist. I enjoyed my need for dental work!! All attendants and doctor very friendly, informative and very careful towards a patient's need of no pain and getting the job done just right. I had a dental emergency while on holidays and needed to quickly find a competent dentist. Om a recommendation from the hotel I called Ala Moana Dental and was able to get an appointment the same morning. The wait room staff was quick and competent and I was able to see the dentist within minutes of my arrival. The dentist also was excellent explaining what he was doing and each step of his analysis of the issue. Highly recommended! THE BEST PLACE FOR ALL YOUR DENTISTRY.CHANGE THAT 4.8 STARTS TO A 5. Last time I was a patient of Dr. Devereuxs, almost 20 yrs. ago I was very impressed with his skills and professionalism. Since then I have moved and could never find a good dentist. I'm glad I searched and found Dr. Devereux again. Even though he don't except Medicare, I'm coming back to him for all my dental care in the future. I Definitely recommend Ala Moana Dental Care and Dr. Devereux to anyone and everyone. MAHALO AND ALOHA DR. DECLAN DEVEREUX AND ASSOCIATES. This was my second visit to Ala Moana Dental Care and I love this place. Very professional and friendly. You can really feel the care that all of the staff have for their patients. No matter who you see there the service and work is consistently excellent. Nice group of people. Even love Dr. D's business structure...great availability for the clients and from what I understand great work schedule for staff. Brilliant. Go here if you can. My visit on 11/5/17 was excellent. My daughter and I had our annual cleanings and exams. My only complaint was that there was disorganization with who my daughter was going to see when I specifically told them I requested Marilynn to clean our teeth. There was only one x-ray machine working so I was kept waiting for about 15 minutes for it to be available. Also I was told I owe a small balance after my daughter had a tooth extracted and we thought we paid everything up front on that day. Other than that excellent cleaning services. Was afforded the high quality service and professional care that I am accustomed to in the several years I have been coming to Ala Moana Dental Care. Staff are very friendly and helpful - make going to the dentist a pleasure! My 2nd visit to Ala Moana Dental Care. Same quick and professional care. I recommend to everyone who asks. With my busy schedule, and a very bad aching tooth, i was in desperate need of emergency attention with the amount of pain I've been enduring for the past week and a half. I found Ala Moana Dental online, immediately booked an appointment with them, and got seen at my scheduled time. As soon as i entered the office, it seemed more like a hotel lobby, with a warm, calm and inviting atmosphere. The receptionist up front greeted me with such ALOHA and professionalism...making me feel calm, knowing that i am in good hands there. Dr. Deveraux came to examine my pain, and his whole focus was primarily on getting me to feel better...Dr Mattos performed my extraction the next day which was quick and easy. They gave me some antibiotics, and pain killers to help with the infection and pain. Everything went smooth, and i am glad to say that i made the right choice by going to them...i could go on and on about my experience with Ala Moana Dental, but I'll leave room for my next visit with them...as I plan to stay with them and my officia dentist :) Mahalo piha Ala Moana Dental ! I don't even no where to begin..from the moment i stepped through the doors until my visit was complete the service was no less than excellent! From the receptionist who greeted me, to the person LeeAnn who took me to the exam room, to Melissa, to Dr. Devenroe, also to Desi who was thorough in explaining payment and options available...the quality of care was exceptional, every step was explained. I have never been made to feel so important and a part of my dental procedure as I was at Ala Moana Dental Care. Keep up the good work guys... Mahalo for making it the best dentist visit ever! Went for a cleaning and brief consult with Dr. Devereux. Pleasant experience and got the info, explanations, and referrals I needed. Dr. Devereux even called me when he found out that one of my consultations did not go well. Very concerned and caring professionals. That's why I've been with Dr. Dev for almost 20 years! The dental assistant who helped me was very sweet and nice person. I have been in AMD for 2 yrs but I never have this quality service before. She is the best ! I really appreciated her service and hope she can be my dental assisant again. Dr. D said he will make me a very strong replacement crown made of zircon, which is the same stuff as is used in one of the Chanel wristwatch bands. So, he said it will be like having something from Chanel in my mouth. LOL I like that such a Dr.D's funny jokes and happy personality..
Perhaps the best thing about being under the care of Dr. D for my dental health is peace of mind. Here's an example from my most recent experience: When one of my implant crowns broke on Saturday night, I wasn't too worried because Dr. D's office is open long hours, seven days a week. In fact, his first available appointment was the next morning at 6:30. Too early for me, even with my emergency. LOL! So, I took a later appointment Sunday afternoon. I was concerned about the cost of the repair, especially after learning there were two crowns connected together, like a bridge. It turns out I didn't have to worry. because Dr. D took total responsibility. Because the crowns were under five years old, there was not cost for the repair at all. He only charged me for an office visit. Relief! Dr. D puts me at ease and makes me feel secure about my implants. For example, when I called in and emailed him to report the broken crown, he didn't try to place any responsibility for the break on me at all. (Some dentists might have told me I was chewing too hard on that side of my mouth, for example.) Not Dr. D. He just calmly accepted the situation and provided a solution that was painless on all levels. In fact, my experience of the office visit made me feel kind of like a magician's assistant. Dr. D's work was fast, efficient, and completely painless. It was even entertaining, listening to his explanations while he was working on me. In the world of dentistry, wherein most people dread an office visit, actually enjoying going to the dentist and having fun is unheard of pretty much anywhere � except at Ala Moana Dental Care. Mahalo nui loa, Dr. D! The receptionist got me into the doctors chair quickly. Previous dentist have tried to sale me on expensive or unnecessary procedures, but that was not the case with Dr.Inoue, he was informative and sympathetic to my desires. The dentist did a clean job extracting my root canal, and the dentist assistant was helpful. Overall it was a smooth process from beginning to end. I love this dentist (Alan Mona Dentist). Job well done and seasonal price. They don't take advantage of you and very honest. I will come again and suggest my friends and family coming. Doctor Inouye took the time to satisfy my needs. Sharon was thorough, efficient, and experienced. I appreciate Dr. Inouye, who took the time to keep adjusting my crown so that it fit correctly. Sharon was clean, thorough, efficient, and experienced. I was in and out for my cleaning pretty quickly. Everyone was friendly and professional. Friendliest staff I have ever met so far, felt zero pain during the entire procedure as Dr. Devereux made sure of it. Strongly recommend. I'm always happy to come here for my dental work. I was referred to this place 2 years ago and I enjoy coming here. The receptionists are very kind and understanding. Even the assistance to the Dentist. I saw Dentist Dr. Komenaka. He is Awesome! He is really nice and he's a great understanding for you as a patient and he makes you feel very comfortable. I enjoy coming to my appointments. Friendly, courteous and gentle. Job well done. I came in with a major ache, I even tried to pull my own tooth out. I was able to book a appt online at 2:30 in the morning. About 9am I got a call to confirm appt., was given instructions & directions. They were able to fit me in on a sun and they took care of me! Care was exceptional from start to finish.. Very thankful to have found them! Much mahalo to the staff! Great facility. On time, organized. Helpful. Would go back if needed. I was there for an emergency crown replacement. They have weekend office hours. Not emergencies only, but weekends! Amazing! GREAT OVERALL EXPERIENCE BEGINNINGTO END. The staff is polite and professional, the waiting area is pleasant and comfortable, the time was well managed, everyone expressed true concern for my comfort. Overall great experience. I will go back and continue with them. As always the front desk receptionists were pleasant, polite and efficient. I was greeted by Lunelle who did my X-rays. Lunelle was warm, sweet and a good worker. My hygienist (I forgot her name) was very experienced, diligent and kind. She discovered a small lump located inside of my mouth and asked pertinent questions. Dr. Devereaux explained that the lump was the result of a dead root from a molar. Dr. Devereaux gave his recommendation which I will follow through as soon as possible. Much mahalo to Dr. Devereaux and his diligent staff. I made an appointment by 10:30am, I arrive early and they had me in the chair by 10:15 and out by 12:30pm considering the amount of work that was necessary. They are efficient and wow, Dr was very gently and no issues followed. My three kids are visiting on Tuesday. As usual, it was a good experience.